In this article, we explain why dowsing and spiritual development are, potentially, two forms of the same activity – and why dowsing with a physical device can be the beginning of a process of developing an extraordinary, whole body, energy awareness that ceases to depend on any external device. What is happening when a dowser dowses? Everything and everyone exists within fields of information. Normally, when we speak of information, we mean, "something with which we learn about something else" – such as words, pictures or signs that have meanings. However, in the world of energy, the information of anything is its unique form or signature. And each signature is a container for energies of one kind or another. Imagine water as an energy. And a cup or plate as different types of information. The 'cup information' holds the water energy well. But the 'plate information' lets most of the water energy flow away. 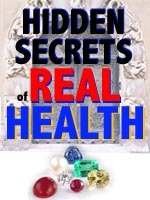 Our bodies are also made up of information fields that are designed to hold certain energies. Or, if they are broken in some way, they also let some of our energies flow away. As yet, although there are many instruments for measuring electro-magnetic fields, theres no device that can measure the information of any given object – unless, of course, you count the body of someone who's developed a particular form of energy awareness. As is noted in a book on the use of the internet in psychotherapy, "One of the greatest technological challenges lies in the difficulty of electronically-matching the human eye in visual acuity and registration".1 This is in the context of creating programs and equipment to allow "virtual" visits to the doctor. Imagine then, the much greater difficulty of designing an instrument that can emulate the super-sensory perceptual ability of some humans in perceiving non-electromagnetic fields of information. One field of information – your personal energetic identity or signature – is unique to you. Another field of information – the human signature – we all share, just as we all have the human form in common but some of us are blue-eyed, some brunette and so on. Similarly, everything around you has its own general and personal signature such as, say, dogs – a general signature, alsations – a less complex general signature and, perhaps, your particular pooch – a unique signature. Dowsing or divining is a natural human ability, generated by an area of the human signature (at your forehead) that is commonly called the '6th chakra'. An energy in the 6th chakra can be used to detect the signatures of other people, objects, energies or substances, such as water, oil, electric cables, the right medicine, allergenic foods, geopathic stresses and so on. When a dowser finds what he's looking for, it's because his 6th chakra has "picked up" the presence of a certain signature – just as a satellite antenna picks up the presence of the signal of a particular television channel. how much he is aware of the signals his body is receiving. Dowsing may seem mysterious and unscientific to many, but it's really just a means of tuning and amplifying a natural form of awareness energy flowing through each of us, all the time – but which is usually too weak to be noticed. When a certain signature, to which you are attuned, is encountered (e.g. to the foods you need to eat to recover your health), energy flows from your 6th chakra along specific meridians – your "awareness circuits" – that run throughout your body. Two of these meridians run down your arms to your fingertips. When the energy flows change in them, the consequent fluctuations cause changes of movement in a pendulum or an antenna – or a change of strength of a muscle (a.k.a. kinesiology) – which serve to amplify an otherwise barely perceptible signal. An alternative way of measuring this change of energy-flow is with an electro-acupuncture or skin-resistance device – although such instruments often miss much of the information that can be registered through physical responses. For many people, the practical benefits of registering a perceptible physical response to an energetic event is enough to occupy them in research, or the practice of dowsing or kinesiology, for a lifetime, often with great practical effect (water is found, oil is located, an allergy is detected. etc). The more you reduce information to its simplest components – such as 'Yes/No' – the less you are in touch with the rich complexity of the reality in which you exist. So, whilst "Yes" or "No" may often be exactly the answer you want (eg. "Is there buried treasure here? "), for those who wish to develop a more wholistic understanding of their relationship with the world of energy, dowsing becomes just the very beginning of an exciting journey of personal energy awareness development. Learning how to directly perceive energy is a skill that is, potentially, available to all - its just not much-practised. Perhaps things would be different if energy awareness was included in the school curriculum from the age of 5! Often, the development of energy awareness falls within the realms of spirituality, ESP or mysticism which, for some people, puts it beyond consideration as something to be taken seriously. Nevertheless, there is a well-defined process of awareness development from learning to dowse accurately to directly perceiving the world of energy – and how it is constantly influencing every area of your life and consciousness, for better or for worse. Our awareness of the energies influencing our thoughts, feelings, energy level, physical states, abilities, circumstances, experiences and so on, tends to be minimal – apart from occasional vague sensations or intuitions – because a comprehensive and direct perception of the world of energy depends on the functioning of a specific energetic organ in your body that, unlike your physical senses, is not automatically active. 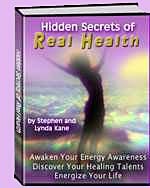 People who choose to practise one of the well-known psycho-energetic abilities or talents – such as healing, dowsing or an internal martial art – develop forward projections or 'advances' of their energy from certain points in their bodies. A healer develops an advance from the solar plexus, a water diviner, from the forehead and, for the internal martial artist, from just beneath the navel. However, if you wish to develop the ability to be concretely aware of the world of energy as a tangible and coherent environment, you need to advance your energy from a point just above and between your eyes. Buddhists sometimes call this the "wish-fulfilling gem", because of how – given sufficient energy – it can positively affect your future. We call it the "stareye" – because of its unique receptivity to a vast number of forms of light from the sky. Each form of energy awareness starts to 'open up' a different area of the world of energy all around you. Although the development of any stable form of higher awareness requires a sustained effort, some people start to experience their eye, mouth or breath energy awareness by the end of a weekend Energy Awareness Training. 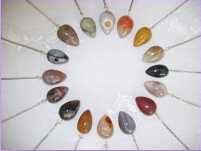 This enables them to start making energetic distinctions that are outside the range of those available through any physical or electronic dowsing technique. When the stareye starts to open, the boundaries of awareness by which we are all, initially, constrained start being pushed back. It's as if we have lived a blinkered life, not only unable to see what else is all around us but largely unaware that anything else even could be all around us. For all our endless scientific advances, we remain confined to a small 'box' of awareness stuck in the corner of the 'room' of reality – unless we make the conscious decision to start expanding our personal horizons beyond those of the concensus reality we see with our physical eyes. Of course, there have always been individuals, like the Buddha, who've tried to put into words an impression of their experience of the worlds of energy and the forces that cause us to be as we are – and what we become. But, ultimately, it's only your own energy awareness that makes a real difference to you, your life and well being – the difference between a head full of 'knowings' about what's what, and directly engaging and communicating with the forces that are profoundly present, and inextricably involved, in every moment of your life. 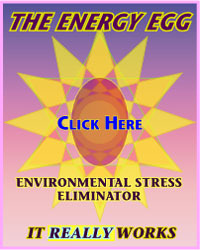 The information content simply determines the energy signatures a person is capable of detecting or tuning into; for example – a water-diviner's underground water, a medical dowser's patients' allergic reactions, a healer's client's impaired energy fields, a feng shui practitioner's "good chi" or a martial artist's opponents' vulnerabilities. Being able to dowse does not mean that you can tune into anything you like, in a meaningful way. It always boils down to whether or not you have a real energetic connection to the subject of your enquiry and, if so, how strong that connection is. You can, of course, develop both the quality of your attunement to a particular signature and the number of signatures to which you can accurately attune yourself. Mana, like information, is another energy that isn't detectable by instrumentation and so doesn't yet fall within the realm of science. However, mana eventually becomes discernable to anyone who sufficiently develops the energy of their stareye. The basic function of mana is to move your life energies around your body. If you think of your life energies as 'passengers', then your mana provides the 'taxis' and 'buses' to get your energies to where are they needed in order to sustain your life and fuel your abilities. Mana also gives force to human energy. This means it enables you to influence the energies of yourself, others or the environment. Some people naturally have a lot of mana in their lower chakras and so become influential people in the world. However, mana is rarely cultivated in the higher chakras except through the special practices and disciplines of some esoteric schools and spiritual traditions. As we mentioned earlier, an amplified physical response (eg. a pendulum swing) to a certain part of the energetic environment – such as the signature of water – is only the beginning of the development of the potential energy awareness of which we each are capable. Well-known examples of individuals who have developed far beyond this stage – albeit with their focus on the signature of human awareness itself, rather than on the signatures of the physical environment – include Shakyamuni Buddha and, even more so, Padmasambhava – the founder of Tibetan Buddhism. The Buddha was, in essence, a diviner – someone who deliberately attunes their awareness to a certain energy signature – as indeed, are all people who practise effective forms of spiritual development. The essential difference between the Buddha and, say, a water diviner is the quantity of mana that each contains in their stareye. 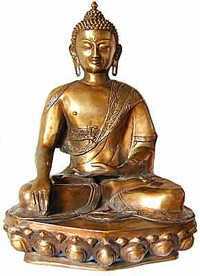 The Buddha cultivated an enormous quantity of mana in his stareye. Mana constantly descends, into every human body, from a vortex at the top of the human energy field. But then it usually sinks and, eventually, is lost. This vortex at the apex of your energy field is sometimes called the 'spirit point.' This is because it conducts the force – sometimes called 'Intent' or the 'Spirit' – that causes consciousness to evolve. When a lot of mana is received all at once, this may be called a descent of the Spirit. A fundamental difficulty with real spiritual development is that you must be prepared to put in the effort to cultivate your awareness before it starts to reveal the worlds of energy. We, in the Western world at least, usually prefer to see, in advance, what we can hope to achieve from our efforts or we try to create an instrument or machine that will do the job for us. A dowser's pendulum – or a muscle test – is, to a certain extent, such an instrument. Most people can generate a response fairly easily so, unfortunately, the incentive to develop their awareness further is often lacking. This is unfortunate since, by the end of even a two-day Energy Awareness training, most participants have usually achieved sufficient energy awareness to no longer need a pendulum – and the less dependant you are on a physical mediator, the more aware you become. Deliberately cultivating your mana, the force of your energy, leads to different forms of energy awareness, the forms of which reflect the locations of their increasing advances from your body. A common example of this is the advance of energy in an experienced internal martial artist – a "martial diviner," if you like – from a point, known as the hara, tan t'ien or kath, just below his navel. The advances of most people who experience unusual talents are rarely more than a couple of inches forward from the surface of their bodies. However, the mana of a real master of any talent advances all the way to the edge of his energy field – and then ascends to his spirit point. Peter Ralston, an American martial artist who achieved this in the 70's, has described how, one day, his normal fear of injury during combat, spontaneously disappeared. He then proceeded to demonstrate the force, at the mundane level, of his awakened talent by single-handedly defeating the entire national teams of countries such as China, Japan, Korea and Thailand at the 1978 World Championship, full-contact, martial arts tournament held in the Republic of China. Ralston never fought competitively again. He'd made his point. Instead, he dedicated himself to a process of personal consciousness development he called the "Principles of Body-Being." Peter Ralston is a perfect illustration of the fact – or 'energetic rule' – that an inevitable consequence of cultivating sufficient mana, or personal power, to really master, or embody the energy of, your subject – any subject – is that you forge a connection, or flow of energy, back up to the spirit point. Traditionally, this is known as, 'entering the Way'. Dowsing, as for most human activities, rarely leads to the spirit point. Instead, a dowser tends to become fully-engaged with, well, dowsing. This will always cultivate some advance of the 6th chakra but, as a rule, not enough to liberate the dowser or kinesiologist from their dependancy on a "Yes/No" response to phenomena. For those who wish to develop their awareness, this is a loss of a golden opportunity because the more you cultivate the mana of your subject, your dowsing in this case, the more you approach a transcendental realisation, through the vehicle of that subject, of how you, personally, belong within the world. This is experienced as the awakening of a form of direct communication or interaction with the extraordinary world of energy all around you, which then shows you who you really are and what you are capable of being. Dowsing, unlike martial arts, is an ideal way to begin this illuminating process of internal and external discovery. It's not easy to enter the Way – to forge a conscious connection with the Spirit, or force of Intent, that dwells at your spirit point and guides your life – through martial arts. The energetic 'reach' from the navel to the spirit point is enormous. Experienced teachers of martial arts are, of course, very good at martial arts, but that isn't the same as developing an ascending flow of energy to your spirit point. Peter Ralston is an exception, not the rule. Dowsing, on the other hand, is an ability that extends from the 6th chakra at the forehead – which is much closer to the spirit point than the navel. 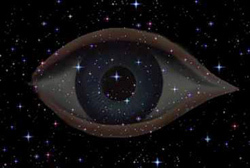 Moreover, the energy of the 6th chakra touches the stareye immediately beneath – the most powerful chakra for becoming aware of the world of energy. It's relatively easy, due to this fortunate confluence of chakra energies, to transform the activity of dowsing into a means of developing a concrete energy awareness and, eventually, entering the Way. It might seem like we've come a long way from how to find water with a rod, or detect an allergy with a pendulum, but its really not that far at all. The world of energy is everywhere, within us and all around us. When you try to discover something through any form of dowsing, you are trying to tune your awareness into the relevant part of the world of energy. As you do this, you automatically feed more energy to your forehead where your dowsing mana is advancing. 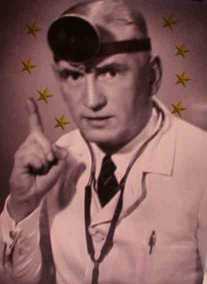 After you have finished dowsing, your bodys energy will, as a consequence, be slightly different – you will have a little more energy at your forehead. If your dowsing mana is such that it causes some of your 6th chakra to start entering your stareye you, your dowsing ability and your life will start to radically change in new and, sometimes, extraordinary ways. As your stareye's energy changes, your position or resonance within the world of energy will also change. One consequence is that your future states and experiences will, increasingly, be different from those that, otherwise, would have come to pass. Another consequence is that you will start seeing the world in a new light. Your 6th chakra controls your eyes and other senses. If its energy starts mixing with that of your stareye, you will start to notice – even without a dowsing instrument – energetic connections in your life, you never noticed before. You may, for example, perceive how a certain piece of furniture in your living room is making you tired; you may notice that sitting in a certain position causes you to become happier; you might discover that a flower in your garden can teach you how to heal, to develop a new form of creativity or see a different world in the same space as the one we all already know... a growing energy awareness causes your experience of being alive to expand in countless new ways. Real energy awareness – or going beyond the 'Yes/No' way of relating to energy – through the Way of dowsing, begins when you start to perceive how you, yourself, are being directly affected by your dowsing activities. This is the point where the descent of the spirit starts to open your eyes to the world of energy. The more you choose to enter this world – to live according to your dawning perceptions and with less dependence on what you think, believe or know – the more your dowsing will evolve away from a reliance on physical responses and, instead, become an increasingly illuminating, whole body, energy awareness. A Perfect Pendulum is designed to connect you to your whole body's awareness, as well as empowering you to the point of no longer needing a pendulum (or muscle energy test) in order to be aware of energy. Click here to read more.